Renal transplantation represents the treatment of choice for chronic renal insufficiency. The first year after transplantation is special, as it is characterized by the highest rates of acute rejection and opportunistic infections, but the principal cause of graft loss after the first year is chronic allograft nephropathy. 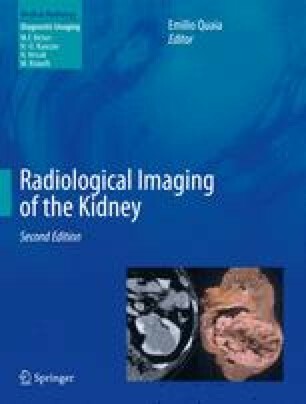 Imaging is particularly useful in evaluating the graft recipient and the kidney donor to adequately plan the graft implantation. After transplantation, noninvasive techniques (mainly ultrasound and MR imaging) play a major role in characterizing the causes of renal dysfunction, separating surgical causes (urological and vascular) and medical causes, and, lately, in detecting tumors in both recipients and grafts.